So sorry I am a few weeks behind on this!! my computer decided it didn’t like to connect to the internet anymore 🙁 Oh well, I figured out a way to get it to work, so i am back in business!! After thinking about it, I kind of like the fact that I didn’t write a review that day after I was done with the Reset. The reason being that now I had a chance to get back to my “normal” life and see how things have changed for me! 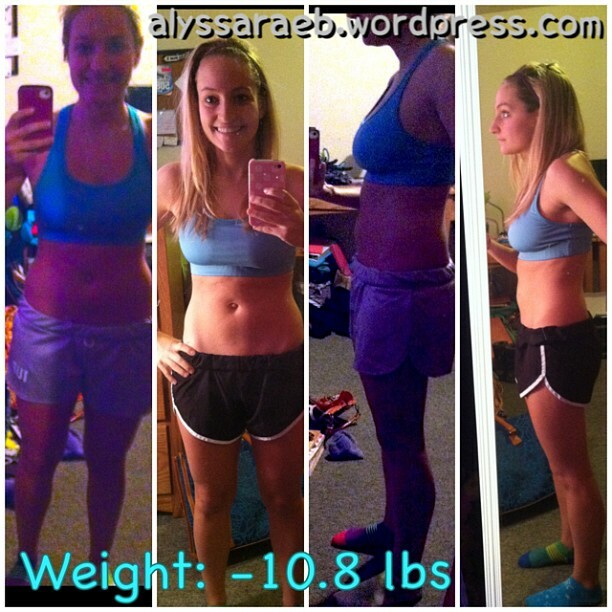 So as a total I lost 10.8 pounds! YUPP almost 11 pounds GONE! I was really surprised, because honestly I didn’t think I had THAT much to lose. However, the places that I was the most focused on losing the weight is where I saw the BEST results. It is almost like my body was like okay, lets keep a little of the fat here, lets lose A LOT here, and just a tad over there! I know that isn’t the way it works, but it fits! I was really hoping to see the most weight loss in my lower stomach, hips, and thighs. To my surprise, those are the EXACT areas that I think most of the 10.8 pounds came from. M energy was super high, I was in an AMAZING mood almost all the time. I did get a cold during the third week. That put me down a little, but it was bound to happen when you babysit 5 kids and at least 2 were sick every time I babysat! It wasn’t a bad cold, just a little head one!! I work wake up totally refreshed in the morning, and fall asleep at night with no issue at all. I have an incredibly busy schedule, so I think if I could pull this off, ANYONE can do it! Altogether I would say that this was an AMAZING experience. Over the past 6 months I have really gotten deep down in in tune with my body on all sorts of levels. Training and running a half marathon was my first experience. It taught my body how to not say no its itself and how to push past the “I can’t” voice in my head. It also made me so aware of how the body works, body, mind and soul. Doing the Ultimate reset was my last piece to totally understand my body. It made me realize how my body worked with the food I was providing for it. I was now aware of the feelings I got while digesting certain foods and the outcomes of those foods. I learned how to eat different foods I never thought I would ever try in a million years. This experience has also taught me that I DO have time to prepare healthy meals and lunches on the go. I was only making excuses before, now I know there aren’t any excuses big enough to interfere with a healthy lifestyle. I did not keep eating vegan, however, I did cut back on my dairy. I am cautious of adding cheese to different healthy foods. There are a ton of recipes I still use, and LOVE THEM!! If you have any personal questions for me on my experience please don’t hesitate to e-mail me at nutritiousfitness2@gmail.com!! Next PostStrawberry Protein Pancake Roll-Ups!